One of the sources I check for ideas to share with you is the website for the delightful environmental radio show, Living on Earth. 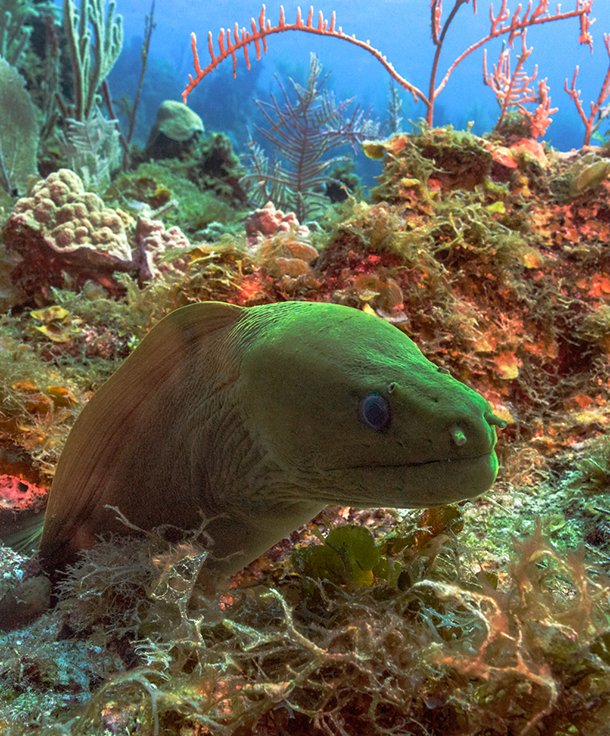 A story about the healthy coral reefs in the deep water off Cuba caught my eye, especially as there has been a resurgence of interest in Cuba lately. Living on Earth host Steve Curwood interviews Robert Wintner about his latest book, Reef Libre: The Last, Best Reefs in the World. Read all about it here., or listen to the broadcast. Lots of amazing photos. And be sure to note how the Cubans control the invasive lionfish by removing the spines and conditioning bigger predators to the taste. Reef Libre: The Last, Best Reefs in the World is diver and photographer Robert Wintner’s most recently published book.